2) This will open the workflow activity report. 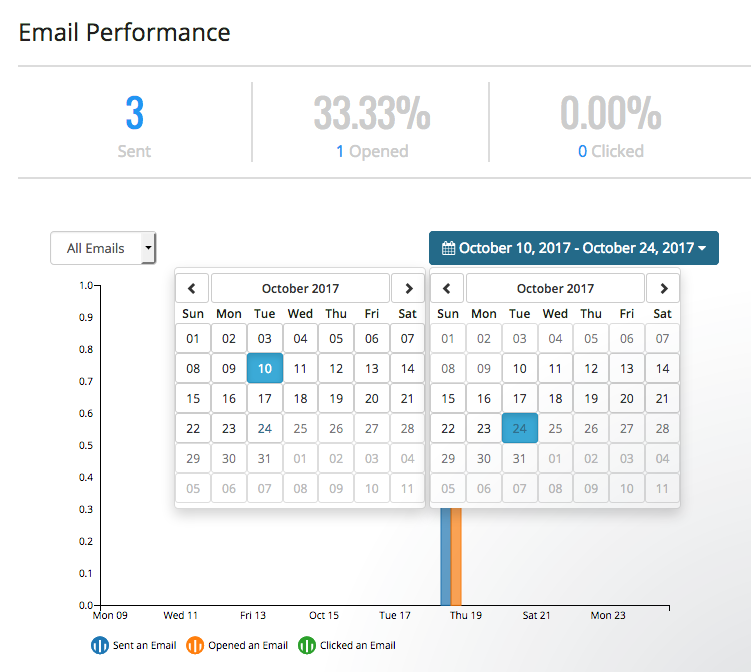 Scroll down to see a breakdown of email performance and click on the date range on the top right to reveal a calendar which can be used to specify which dates to see the performance for. 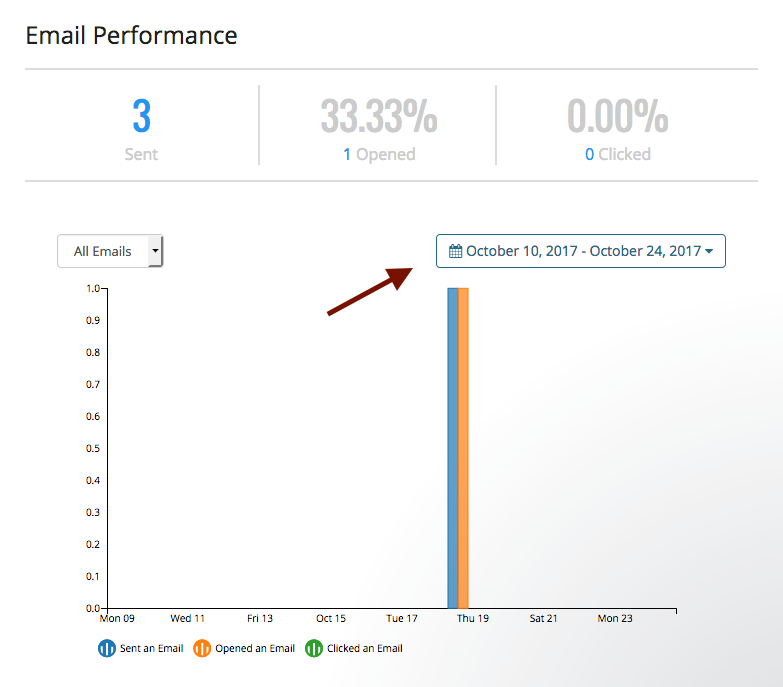 3) Below will be a breakdown of the different emails sent as well as the status of sent, opened, and clicked emails for each.